Contributor and drone-explorer extraordinaire brings us this epic pull-out shot taken on the longest river in southern Africa. The Orange River sources from the Drakensberg mountains and runs most of its 2.2 km (1,4k mi.) course westwards through South Africa, serving as its northern border with Namibia before discharging into the South Atlantic Ocean. It is considered one of South Africa's greatest natural resources, supplying vast amounts of irrigation and hydropower to the region's most populous country. 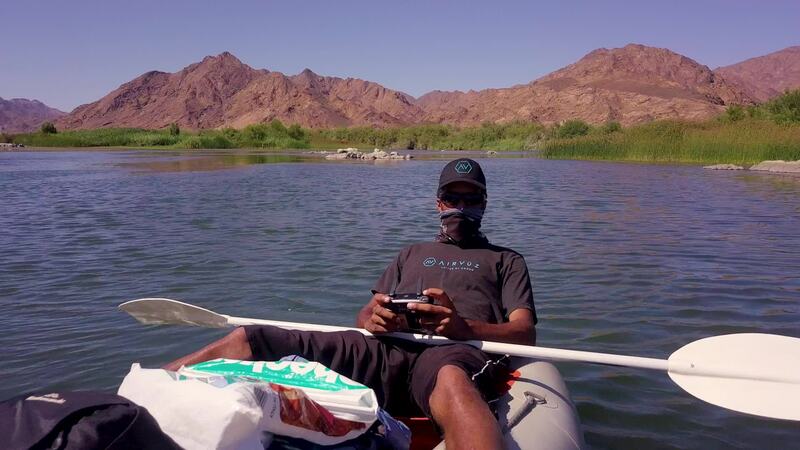 Description: In my quest to take drone shots from moving "vehicles", here is one more, from a kayak on the Orange River.